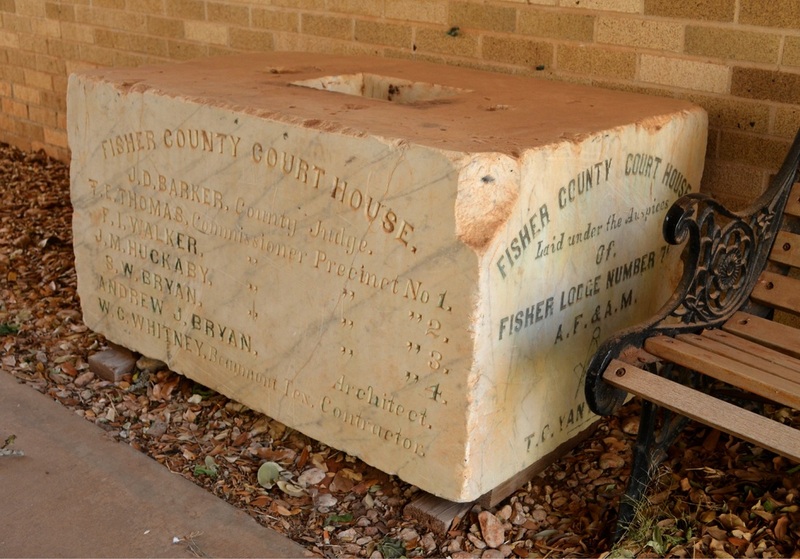 "Fisher County covers 897 square miles of grassy, rolling prairies. The elevation ranges from 1,800 to 2,400 feet. The northern third of the county is drained by the Double Mountain Fork of the Brazos River, and the southern two-thirds is drained by the Clear Fork of the Brazos. 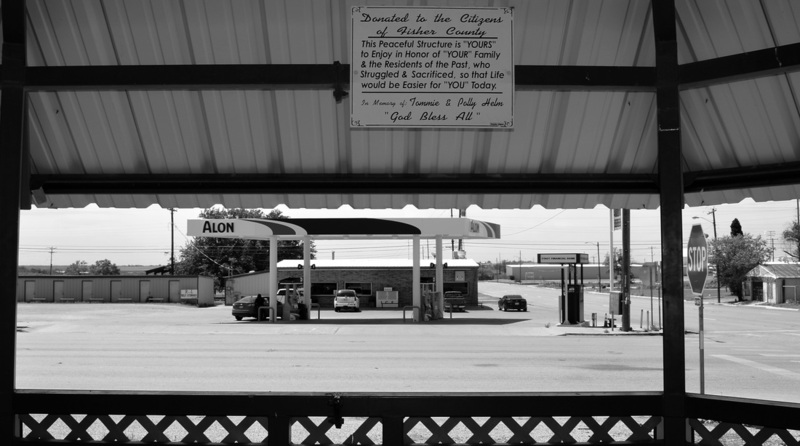 "In the spring of 1847 Robert B. Marcy traveled along the Old Indian Trial through Fisher County on his way to El Paso; he camped for two days near the site of present-day Rotan. In the early summer of 1856 Robert E. Lee explored the county while leading a punitive expedition against the Indians. Rhoads Fisher, a signer of the Texas Declaration of Independence, however, remained sparsely populated and was not organized until 1886. 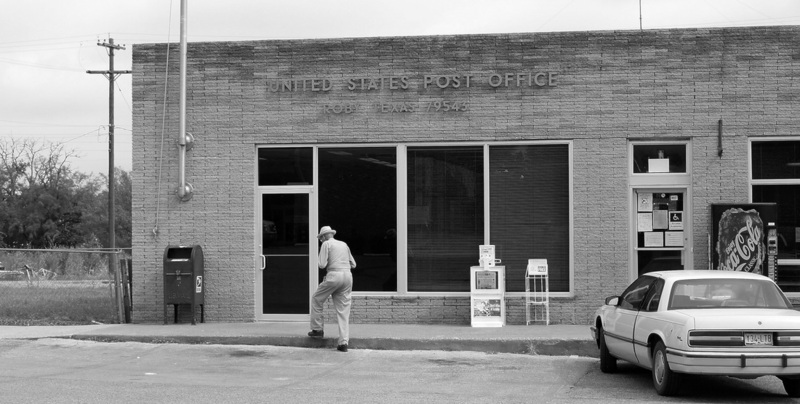 "The first post office, Newman, was established in 1881. "The first town sites registered were Fisher, now North Roby, on November 11, 1885, and Roby on April 16, 1886. 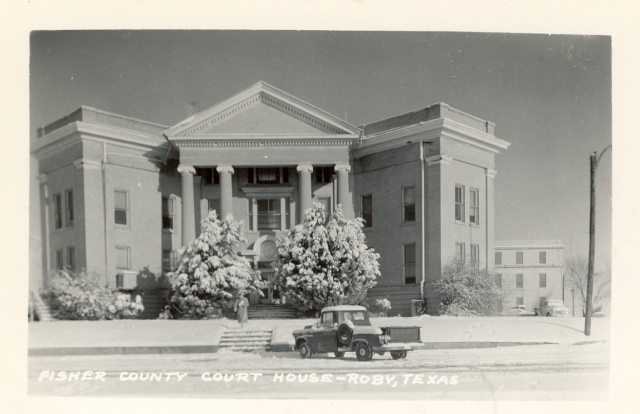 There was a bitter county-seat struggle between Roby and Fisher. 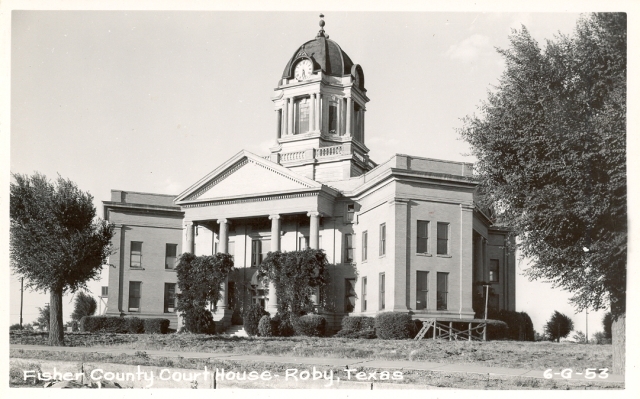 Roby eventually won the election, ..."
I visited Fisher County and photographed the courthouse on July 27, 2010 and again on June 1, 2013. Andrew J. Bryan designed this unusual classical building. 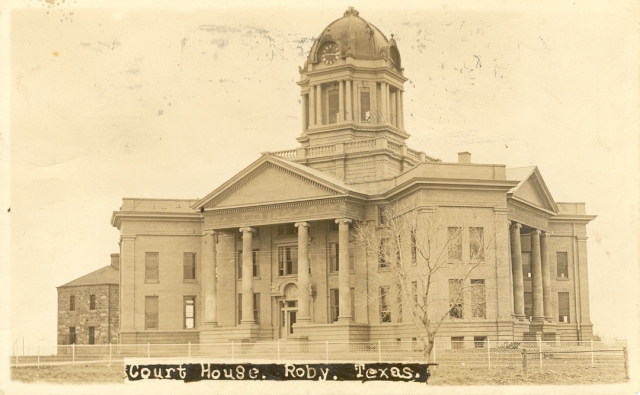 He is also responsible for a similar design for the Rains County courthouse of 1909 in Emory, Texas. Bryan (active 1894-1913) was architect for many county courthouses in the southeastern United States, including the two in Texas. The original tower was gone by the 1950's. 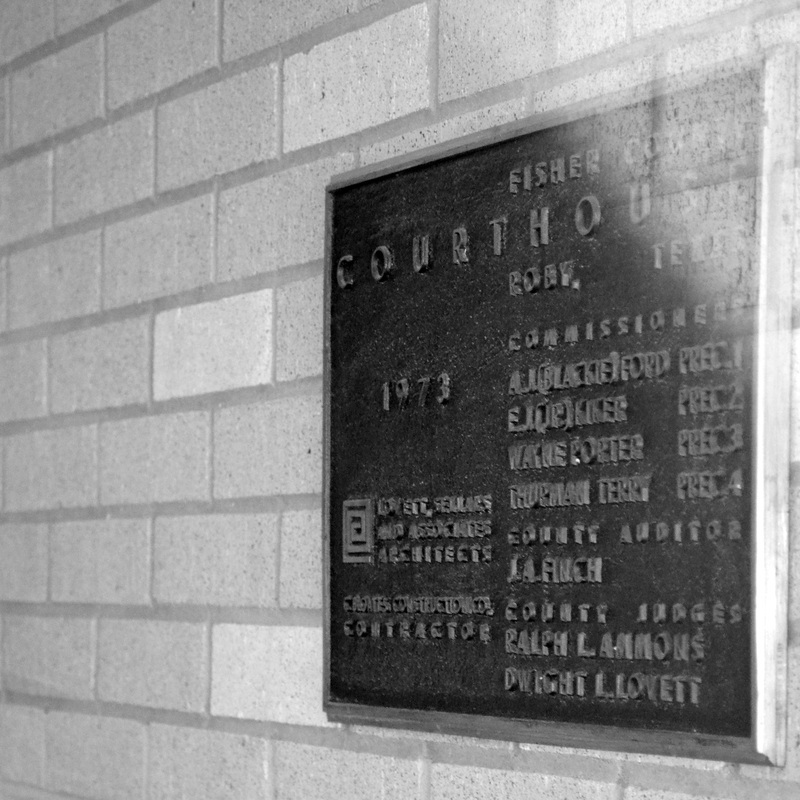 In 1965 a modern addition (the annex) was constructed on the east side of the courthouse. 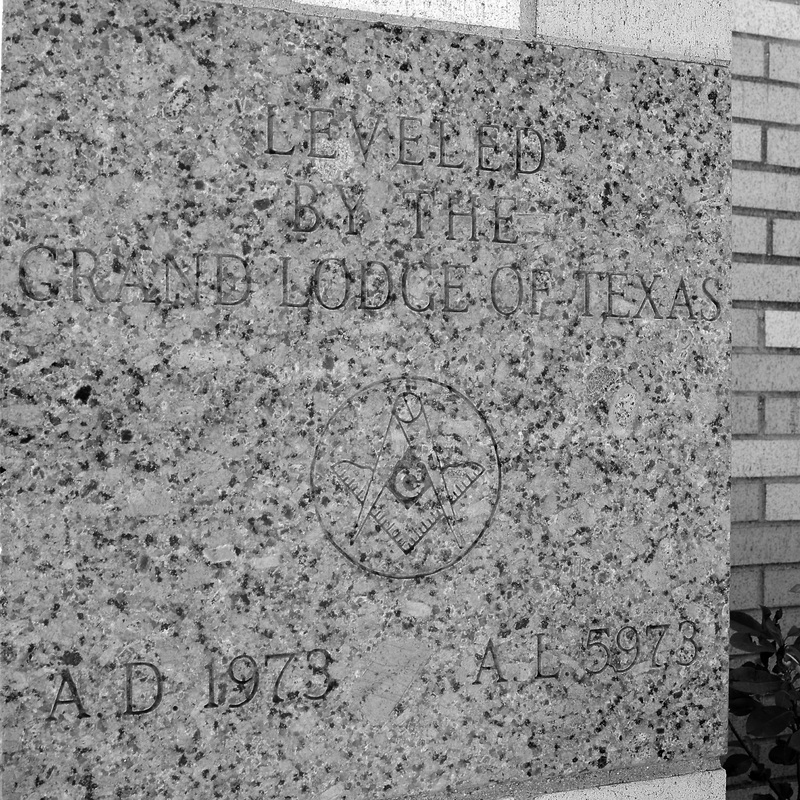 Alas, the historic building was removed to make way for the current, 1973 courthouse. All that is left of the 1910 courthouse is the building's cornerstone, tucked away in a breezeway. 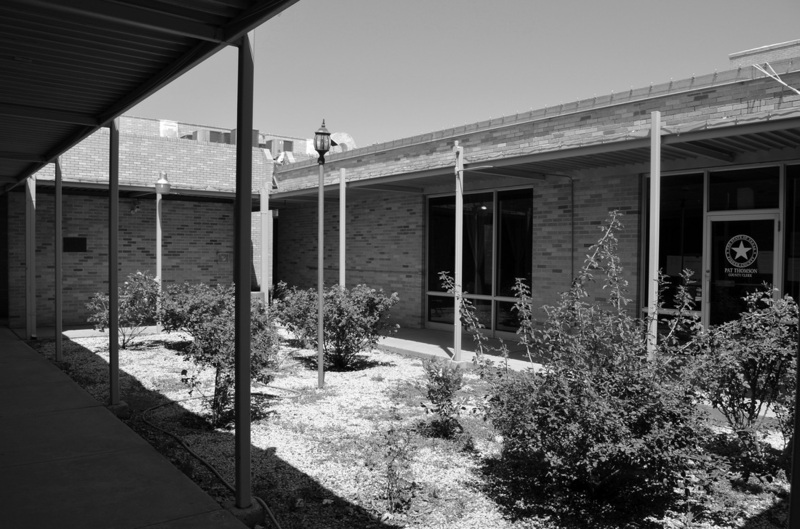 The annex consists of two low buildings, separated by an interior courtyard. 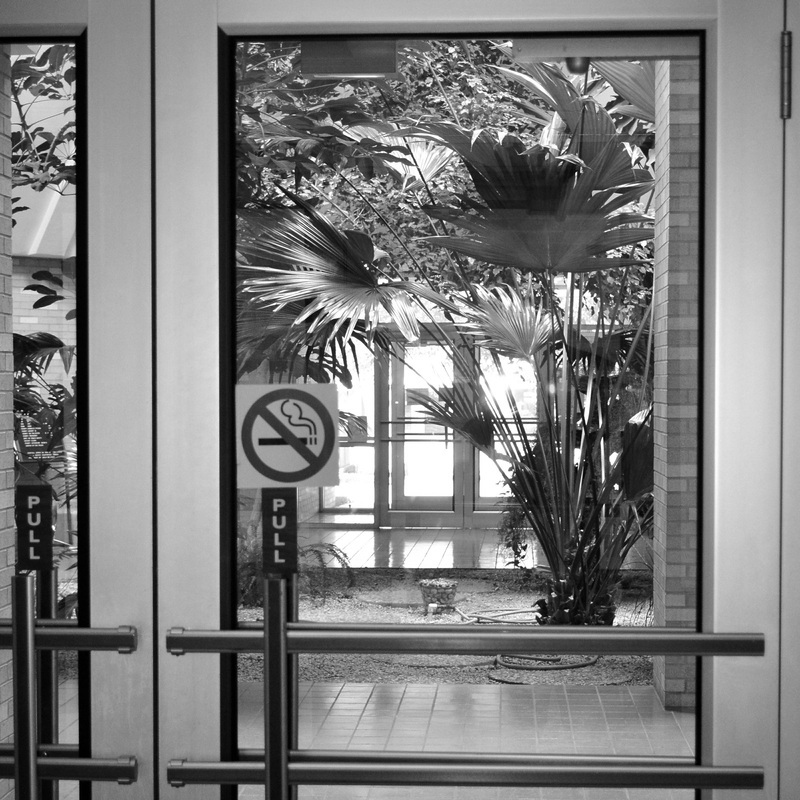 The design had absolutely nothing in common with the historic courthouse. Lovett & Sellars, Architects, also designed the current, 1973 courthouse. 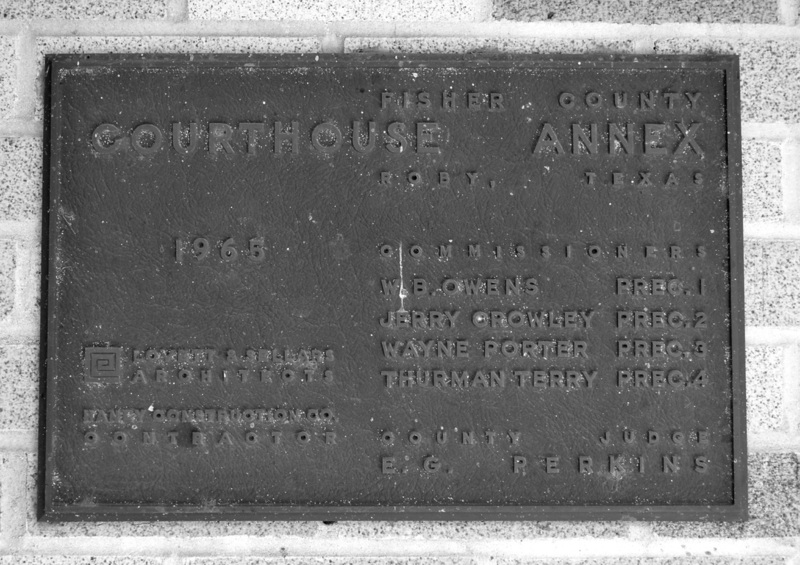 A courthouse "annex" was constructed in 1965, leading me to believe the 1910 courthouse was still in use at that date. Furthermore, the location of the annex on the east side of the square allowed space for the historic courthouse to the west of the annex. The current courthouse occupies the central ground of the square, the area where the historic courthouse likely stood. Interestingly, the footprint of the 1973 courthouse mimics one-half of the 1910 courthouse, with diagonal arms on the northwest and southwest facades of the building. The County Jail (1910? 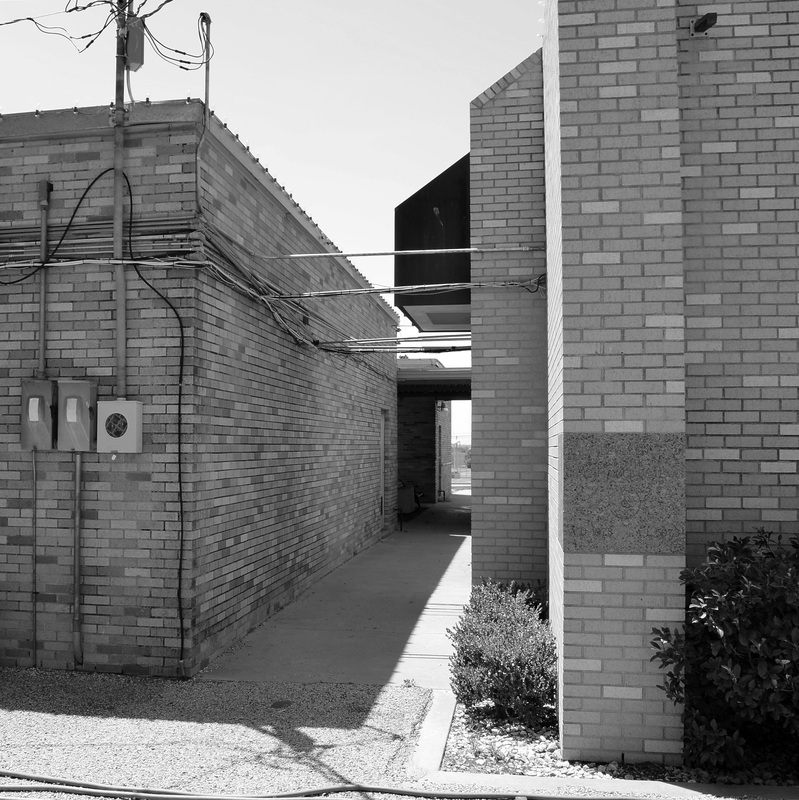 ), in the northeast corner of the square, north of the 1965 courthouse annex.